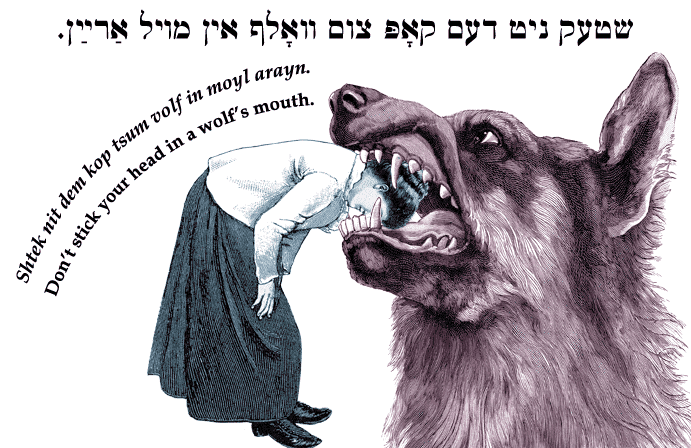 Yiddish Proverb: Don't stick your head in a wolf's mouth. שטעק ניט דעם קאָפּ צום וואָלף אין מויל אַרײַן. Shtek nit dem kop tsum volf in moyl arayn. Don't stick your head in a wolf's mouth.